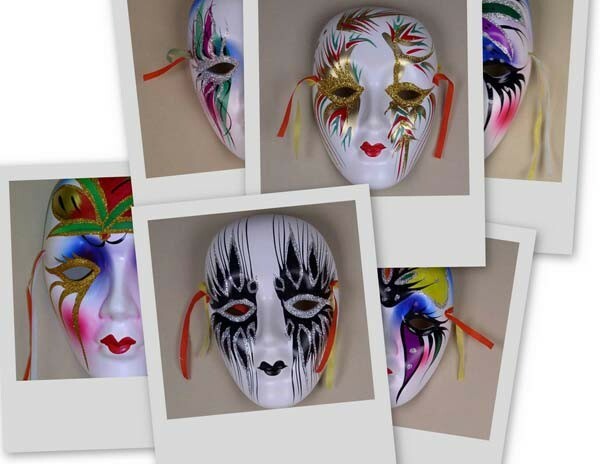 This mask is made of porcelain with very colorful beauty painting. It has two silk ties for easy wall hanging. Very unique wall decor art. L4" x H6" x D1.5"